Gluten free biscotti has arrived! We are thrilled to share our recipe for this delicious, twice-baked, Italian delight. 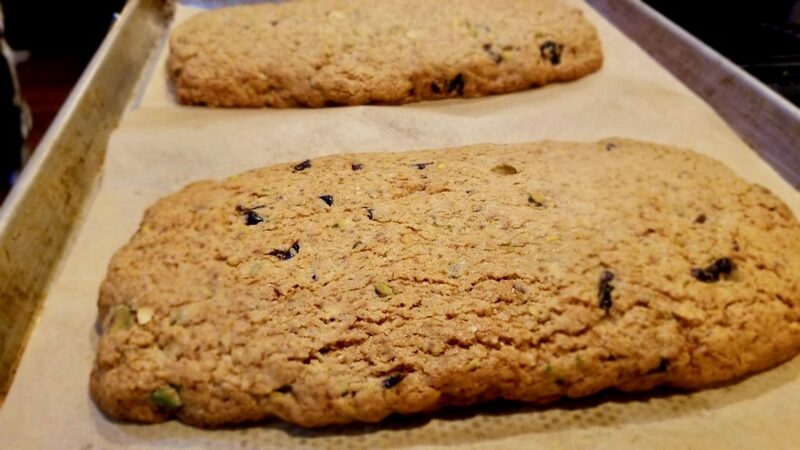 While in Italy, Dave and I had a difficult time finding biscotti made with gluten free flour. I came home determined to create a tasty version that we could eat. Presto! We love our version as the cookies are light, crispy, and full of texture and flavor. No need to visit the dentist afterwards because you chipped a tooth. (Have you ever had biscotti that was so rock hard that you could hammer nails with it?) Our biscotti is enamel safe. Ha! Bonus: our recipe is also free of dairy and gums. Woo! 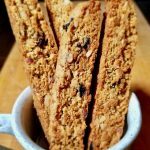 Making biscotti is so EASY! Really, do not let the process intimidate you, at all. However, we discovered a few tricks that help to make the recipe successful, gluten free, and delicious. Toast the nuts. Toasting not only enhance the flavor, but the toasted nuts do not soak up the moisture and dry out the cookie. Use the manual method of combining – a sturdy spoon! No need to beat the dough into light and fluffy heights. You want a denser texture. 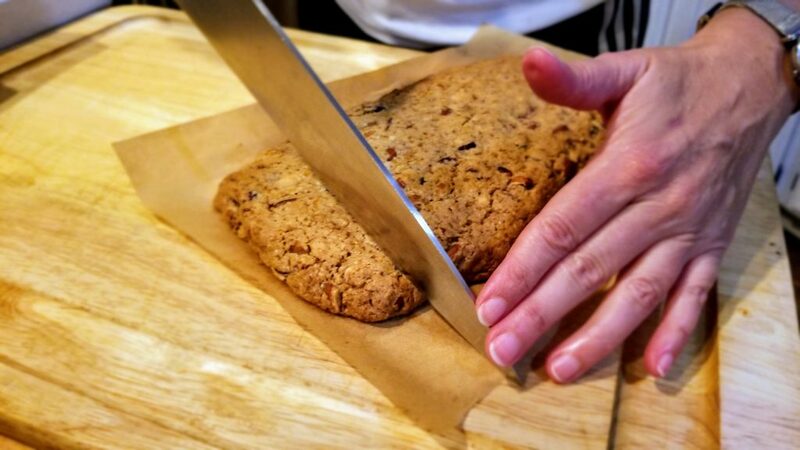 Use wet hands to shape the dough into logs, and do not bake more than two logs on a regular, parchment lined baking sheet. 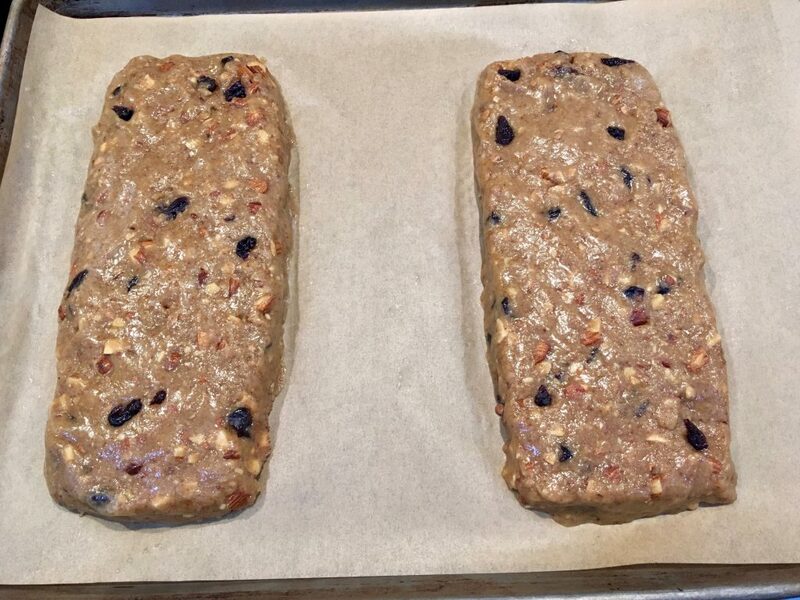 If you choose to put the dough into loaf pans, increase the baking time by a several minutes and use 9×5′ loaf pans. It also helps to liberally grease your loaf pan, and line with parchment if it is prone to sticking. We discovered that once the log has baked and spread out, it is easier to cut when cooled. You may cut it after it settles for about 10-15 minutes out of the oven if you are in a hurry, but not that the log may crumble a bit. 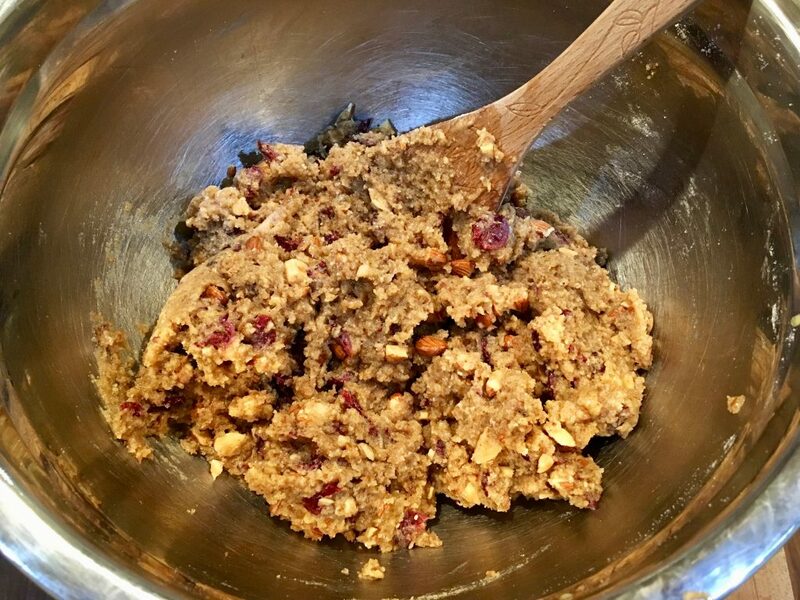 You can avoid this by adding a bit of xanthan gum to the mix, but I did not find the few extra crumbs to be worth the addition. VIP! Cut the cookies from one side to the other instead of directly cutting down from the top for best results. Feel free to add a few ounces of your favorite add-ins. You may also vary the type of nuts used. We love the combinations of almond/cranberry, pistachio/cherry and hazelnut/chocolate. 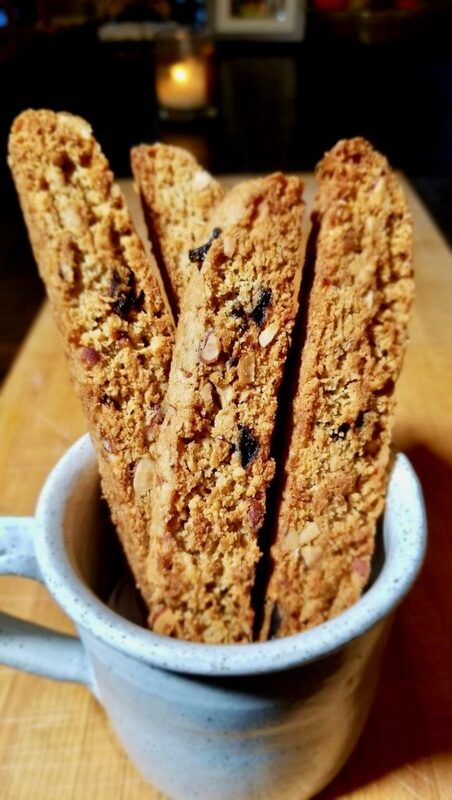 This recipe is an adaptation of Maria Vannelli’s Almond Biscotti recipe, which you can find at shelovesbiscotti.com. She was gracious enough to share her Italian family’s recipe with her readers. What changes did we make? We used Flour Farm Organic Gluten Free Flour Blend for starters! Also, we downplayed the sweetness of the original recipe by substituting coconut sugar for the granulated sugar, used a bit more avocado oil instead of olive oil, and balanced out the flavors of vanilla and almond. We hope you enjoy the result as much as we do with our morning almond coffee.